In its attempt to make its perennial best-seller more fuel-efficient than ever before, Honda introduces a pair of engines on the 2018 Accord, none of which are beefy V6s. The smaller of the two, which is the L15B7, is a turbocharged 1.5-liter inline 4-cylinder (I4) engine. Small and thus not a gas guzzler, the L15B7 can be joined with a continuously variable transmission—which does its part by eschewing the energy-consuming gear-shifting mechanism found on traditional gearboxes—to maximize the Accord’s fuel efficiency to 30 mpg in the city and 38 mpg on the highway. Also with a pair of engine choices, the 2018 Kia Optima has a turbocharged 1.6-liter I4 (Gamma G4FJ) as the more fuel-efficient of the two. It is joined with a 7-speed dual-clutch transmission (DCT), which also helps with a high level of gas mileage because it has two separate clutches instead of one. However, the Gamma engine is slightly larger than the L15B7 (thus needing more fuel), and the DCT is not as energy-efficient as the CVT. As a result, the Optima peaks at 28/37 mpg with this configuration. That’s 2 less mpg in the city and 1 less mpg on the highway. For that extra kick, you can go with the K20, which is a turbocharged 2.0-liter inline 4-cylinder (I4) engine that pumps out 252 horsepower and 273 lb-ft of torque. The K20 is available on the Sport, EX-L, and Touring. The 2018 Kia Optima also relies on a 2.0-liter turbocharged I4 for maximum power in the form of the Theta II engine. However, the Theta II generates 245 horsepower and 260 lb-ft of torque; that’s 7 less horsepower and 13 less lb-ft of torque than the Honda’s K20. In its evaluation and aggregation of professional reviews and rankings—taking into account a multitude of factors—the U.S. News & World Report ranks the 2018 Honda Accord at #2 in the Midsize Cars category. The publication cites great gas mileage, a spacious cabin, engaged handling, and loads of standard driver-assistance technologies among its major attributes. By comparison, in the same category, the 2018 Kia Optima placed #6. To check out more of what the 2018 Honda Accord has to offer, rather than the 2018 Kia Optima, call us today at our Highland, Indiana dealership. With generally favorable reviews on Google and Cars.com, we are supremely confident in providing you with the expertise, selection, and welcoming aura to make car buying at our location a pleasant experience. Stop by for a test drive and meet with one of our sales specialists. 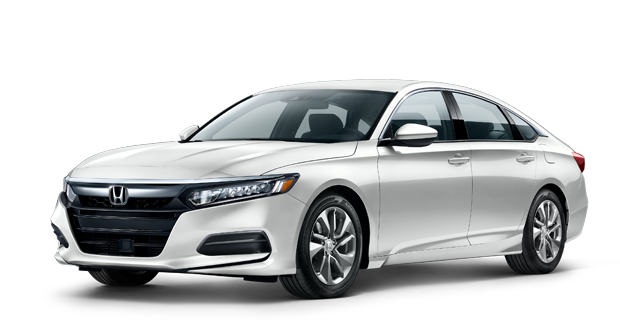 We guarantee that you will be able to drive off in the 2018 Honda Accord that has your preferred standard features and options. ** 30 city/38 highway/33 combined mpg rating for 1.5T LX, EX and EX-L models with CVT. 26 city/35 highway/30 combined mpg rating for 1.5T Sport models with 6-speed manual transmission. 29 city/35 highway/31 combined mpg rating for 1.5T Sport and Touring models with CVT. 22 city/32 highway/26 combined mpg rating for 2.0T Sport models with 6-speed manual transmission. 22 city/32 highway/26 combined mpg rating for 2.0T Sport and Touring models with 10-speed automatic transmission. 23 city/34 highway/27 combined mpg rating for 2.0T EX-L models with 10-speed automatic transmission. 47 city/47 highway/47 combined mpg rating for Hybrid models with E-CVT. Based on 2018 EPA mileage ratings. Use for comparison purposes only. Your mileage will vary depending on how you drive and maintain your vehicle, driving conditions and other factors.